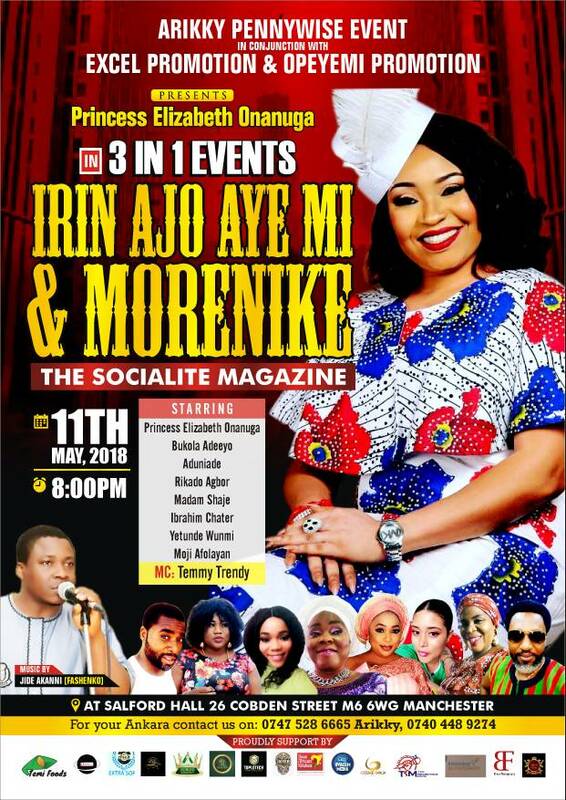 The world is about to experience a never seen before event as Popular UK-based Nollywood Actress, Princess Elizabeth Onanuga is set to Premiere two of her movies, Irin Ajo Aye Mi, and Morenike and also launch her new magazine , The Socialite Magazine on Friday, May 11, 2018 in Manchester, United Kingdom. 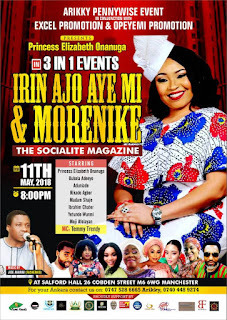 The event which is a 3 in 1 event will definitely be one to talk about for a long time as it promises to give the guests and audience a once in a life time treat. It would be recalled that she released the trailers of the movies some weeks back and they were massively watched , even without the full movie, people already fell in love with it. The movies featured a lot of Nigerian Movie stars. 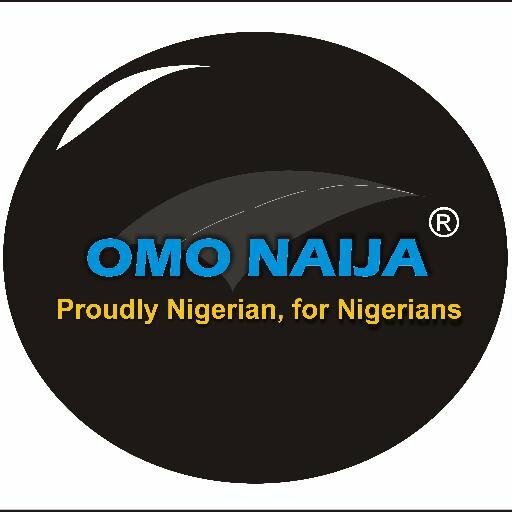 The likes of Ibrahim Shatta, Adunni Ade, Kemi Afolabi, Madam Saje, to mention a few.